Yes, it is OK to finally ditch Quicken. Banktivity is better! "Much superior to Quicken, and with a lot of the power I'd come to depend on in QuickBooks." Export your Quicken data as a QIF or QMTF file. It's easy to switch from Quicken for Mac! Join our community of happy Banktivity customers who ditched Quicken. Powerful investment support with cost basis, ROI, IRR and more. Better budgeting, including envelope budgeting. Real, completely encrypted cloud sync (no backdoors!). 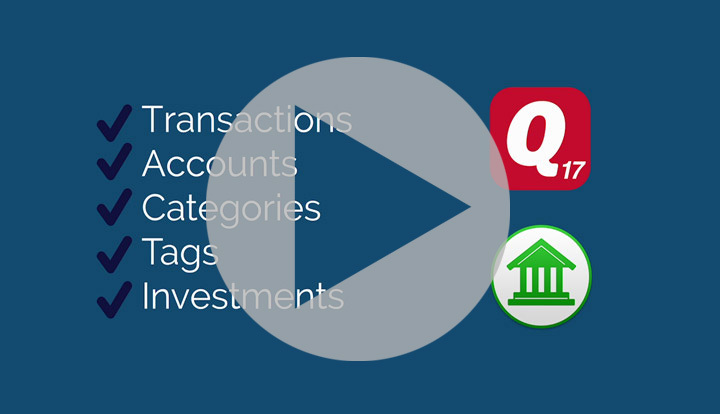 All the great features you used to love about Quicken like automatic transaction downloads, file imports and even bill pay. Banktivity has an outstanding history; we've been in the marketplace for over 12 years. Use the [square bracket] keys to increment and decrement dates by a day. Perform inline calculations by typing expressions in any amount field. For example, type 4.50*1.1 and hit Return, then you'll get 4.95. Free 30-day trial. Purchase for $69.99 with a 90-day guarantee. Minimum OS requirement is 10.13 High Sierra.